Welcome to The Detailing Pros! 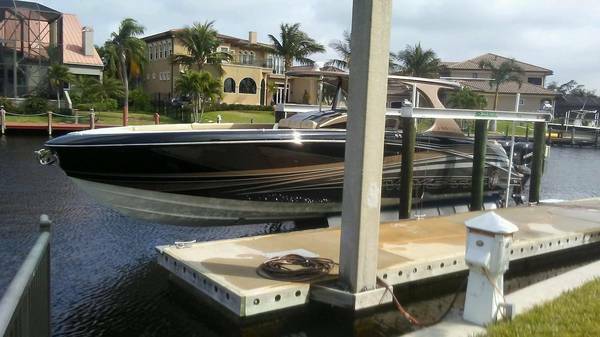 We are a mobile business and will come to your Boat, RV or Automobile all throughout Southwest Florida. Our passion and love for detailing drives us to always produce consistent high quality results for our valued customers. 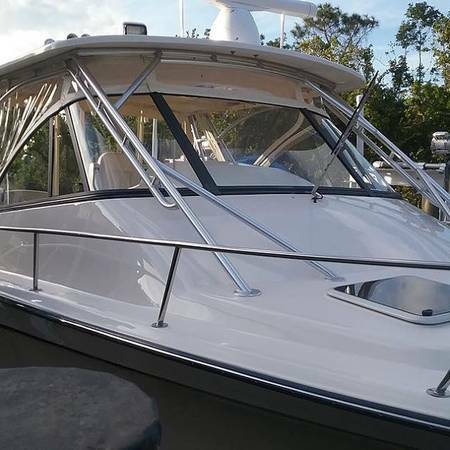 The Detailing Pros offers an extensive boat detailing program; it may be just a wash down or a complete machine buffing with a compound & polish to remove the oxidation (which causes a faded/chalky/dull appearance), followed by a premium grade marine wax/sealant to produce a great shine and protect your vessel. 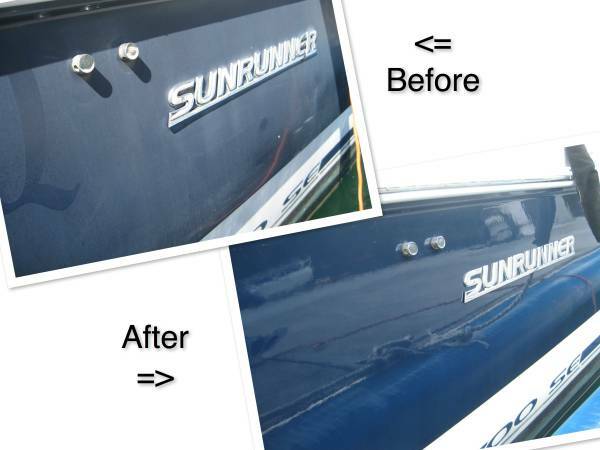 We can customize a program for your boat or yacht all year round keeping it looking new and protecting the paint work and gel coat from the harsh environmental elements and UV Rays, so all you have to do is jump on board and enjoy your boat. The Detailing Pros provides an unparalleled quality in boat interior and exterior detailing, full boat cleaning & regular maintenance. 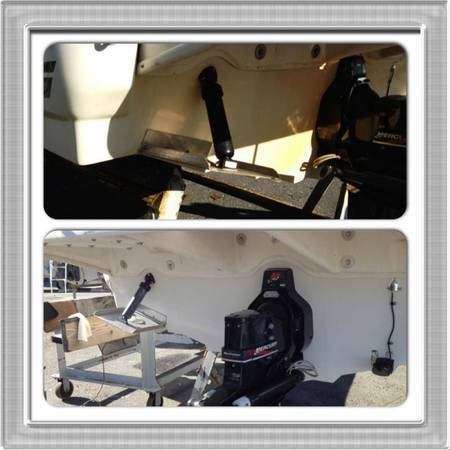 We provide awesome detailing services, upturning everything on your vessel and cleaning it top to bottom. 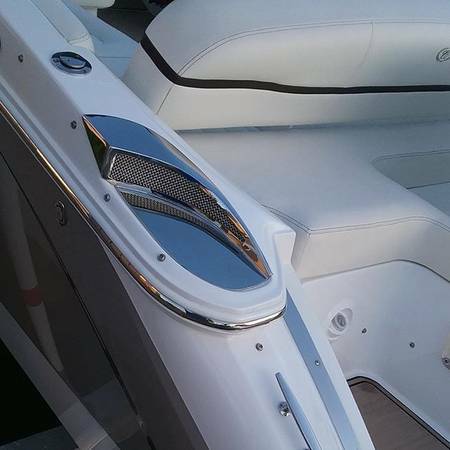 We use advanced Marine products to ensure that every window, cleat, wooden piece, Gel Coat area, etc are spotlessly cleaned and restored to like new condition or better standards! We perform whatever we can with the environment in mind. Machine Buffing and Waxing is an essential part of detailing, we do not simply lightly clean the boat and we do not hand rub the wax on. After a heavy duty cleaning and hand wash, if your boat is oxidized the next step is to remove the oxidation using a compound & polish with a machine buffer. Oxidation causes a faded/chalky/dull appearance and must be buffed out, minor surface scratches can also be buffed out of the gel coat using one of our compounds & polishes. We have a few different compounds and polishes from very light and smooth to thick and heavy. We always use the least aggressive one possible to remove all the oxidation which is based on the oxidation level of your boat. This is then followed by applying a premium marine grade wax/sealant, a proper application of wax can only be achieved by Machine Buffing the gel coat and paintwork. If your boat isn't oxidized we will skip the compounding and polishing step and only apply the premium marine grade wax/sealant. This will produce a great shine and protect your vessel from the ultraviolet rays which will keep your boat in pristine condition. Wet Sanding is only needed when a boat is severely oxidized and faded. We avoid wet sanding and use it as a very last resort if the boat can't be buffed out to a shine with a high speed rotary buffer, which is only the case on average of 1 out of 8 severely oxidized boats. 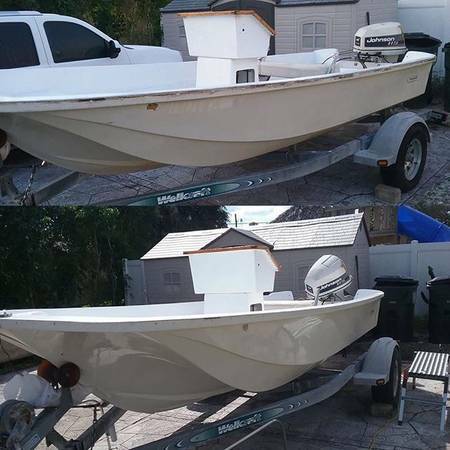 If a so called "professional detailer" is pushing for you to hire them to wet sand your boat please get a second opinion. We will be happy to answer your questions in a helpful and honest way even if you don't intend on using our detailing service. Call or Text to customize a detailing package that is perfect for your Boat's detailing needs, whether it's just a wash or a complete detail we are the team for you! As the owner of The Detailing Pros I too have also experienced the over-promise, under-deliver theme. When it comes to Detailing Services in all of Southwest Florida, there are many choices to be had. The industry is saturated with so-called "professionals" who are more than willing to disappoint you for a nominal fee...that is not me! I am in it, and continue to be in it for the long haul which means delivering a great service, delivering great results and getting more customers through "word of mouth" and building long term business relationships with people who decide to become repeat customers.